Mississippi River-Winona Watershed’s civic engagement contract included production and distribution of six newsletters. 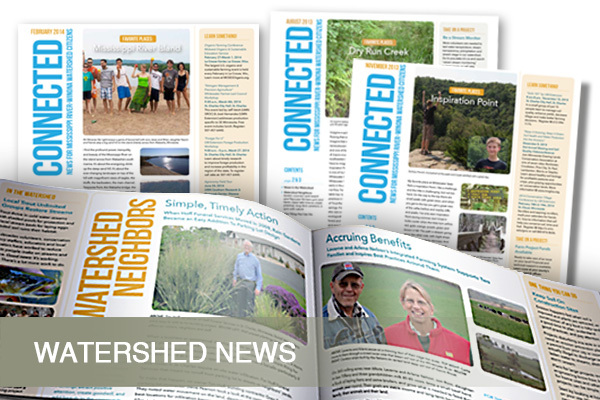 NewGround updated the newsletter format to add appeal, inserted regular features, and told stories of farmers, business owners, rural landowners, homeowners, watershed leaders, and people who play in the region. 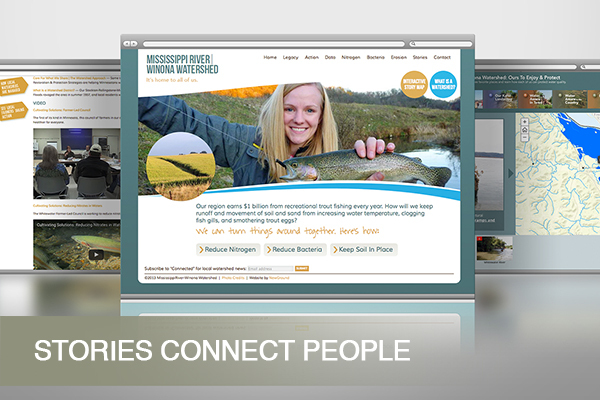 Stories from those issues are now part of the watershed’s website, OurWatershed.info. Four videos featuring local farmers are archived on the same page (produced by Minnesota Pollution Control Agency).